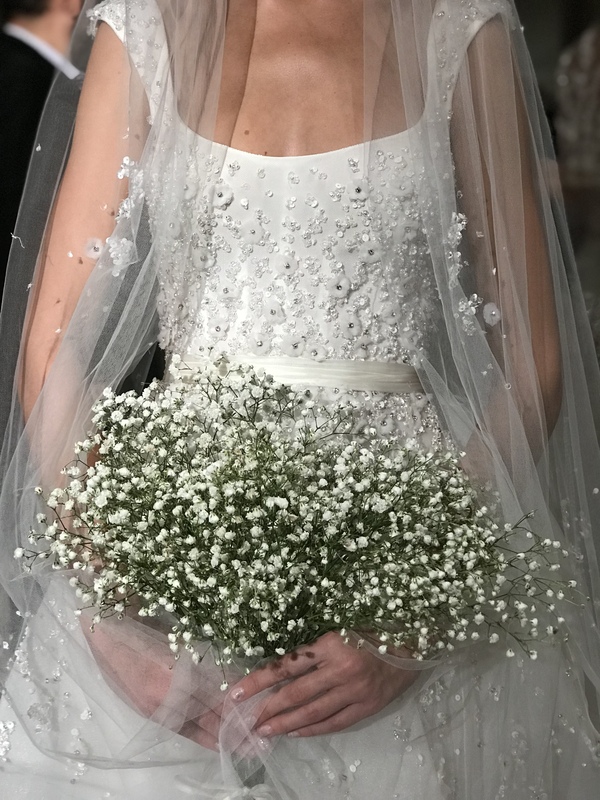 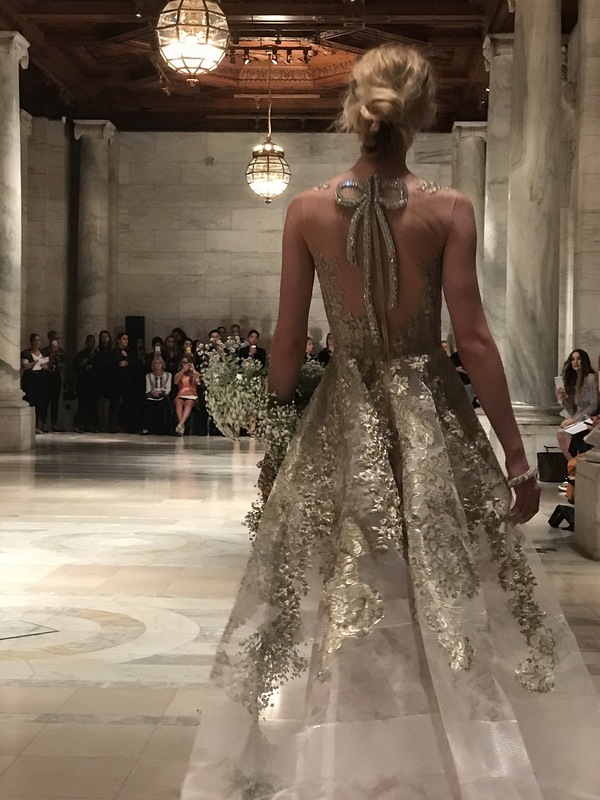 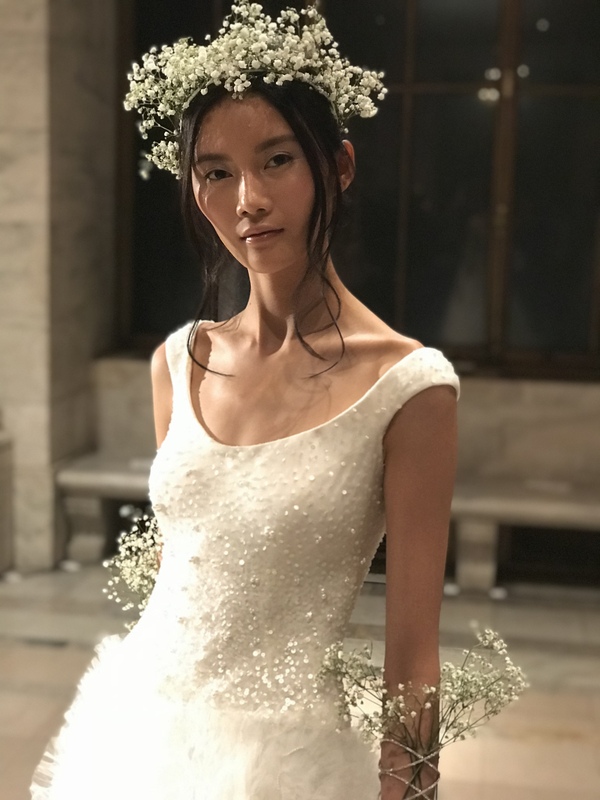 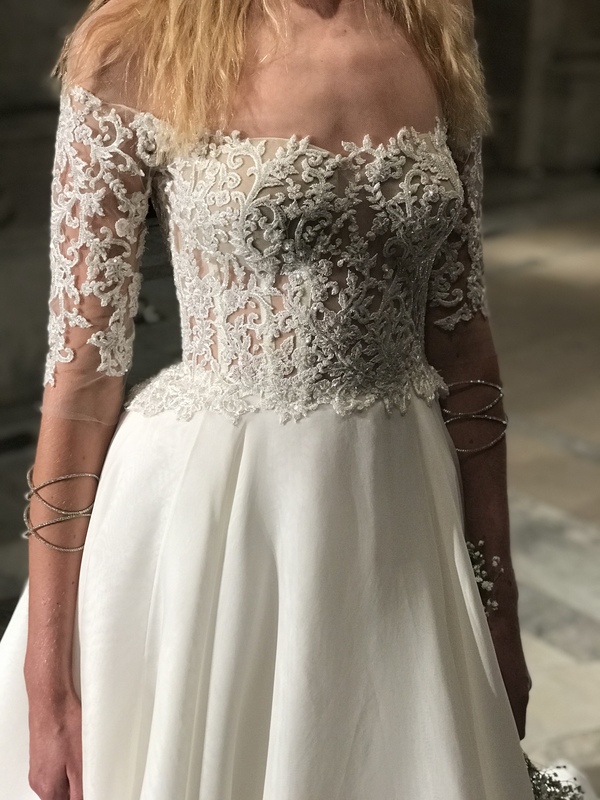 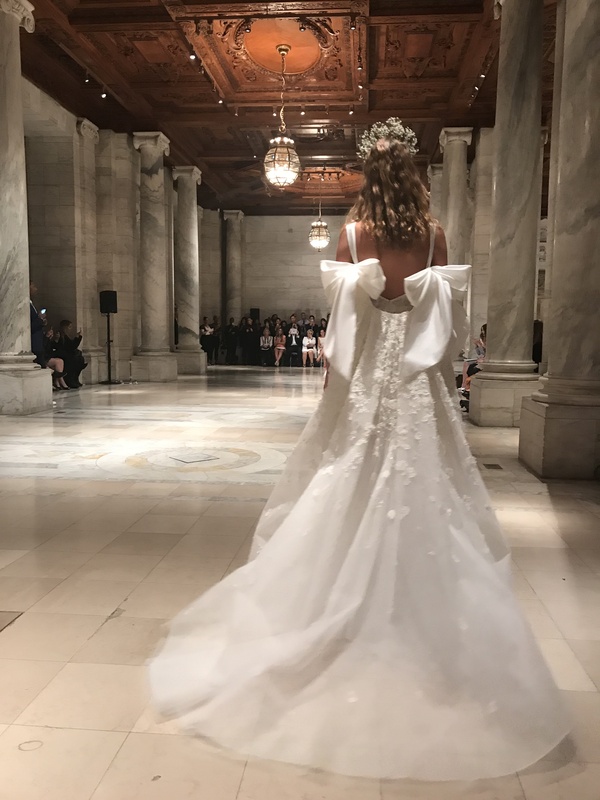 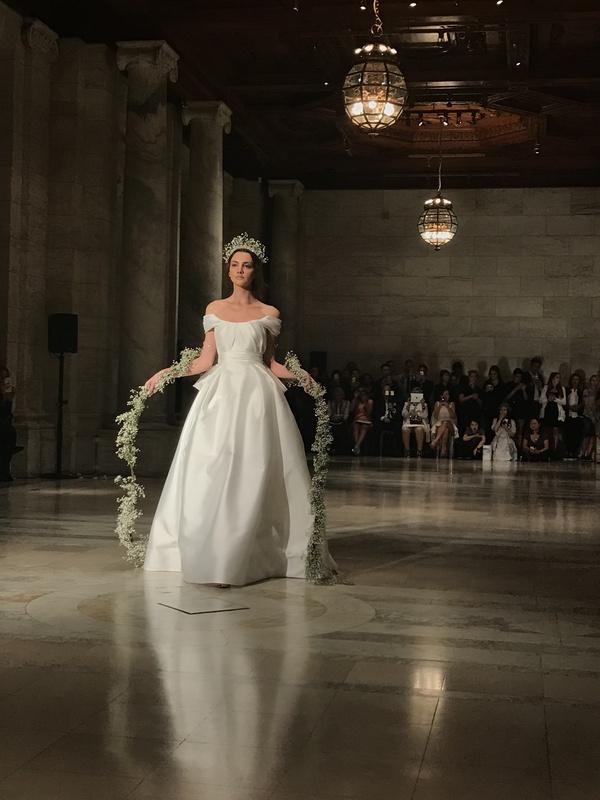 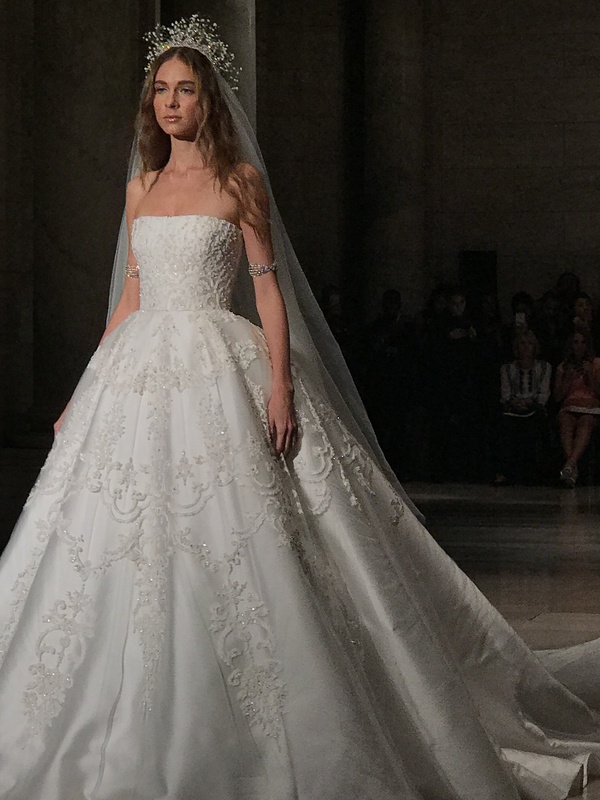 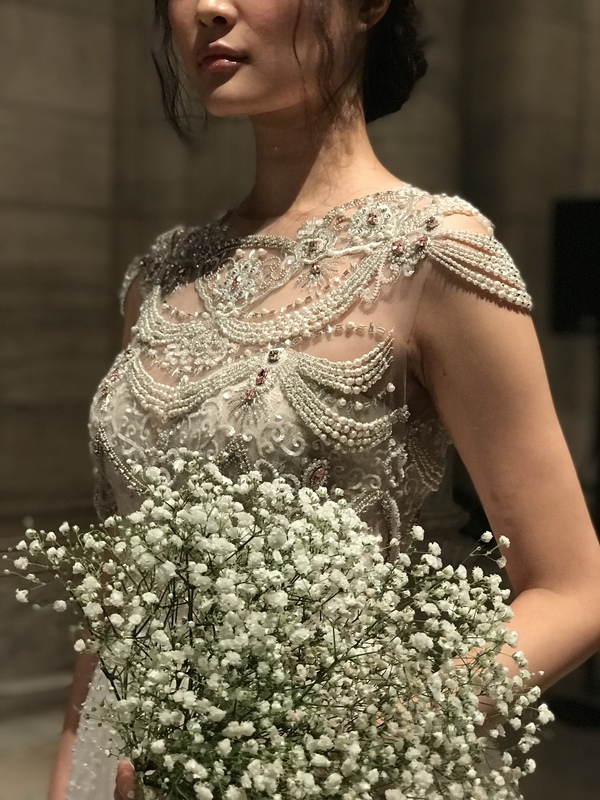 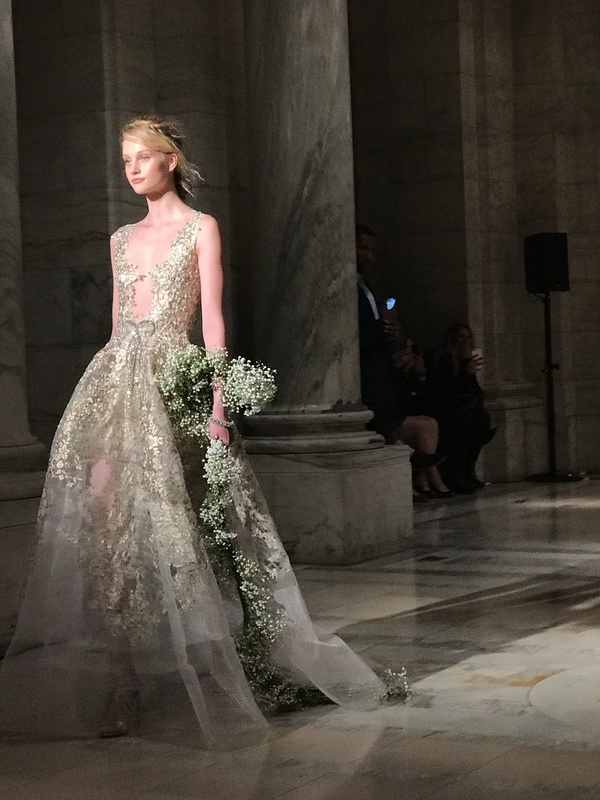 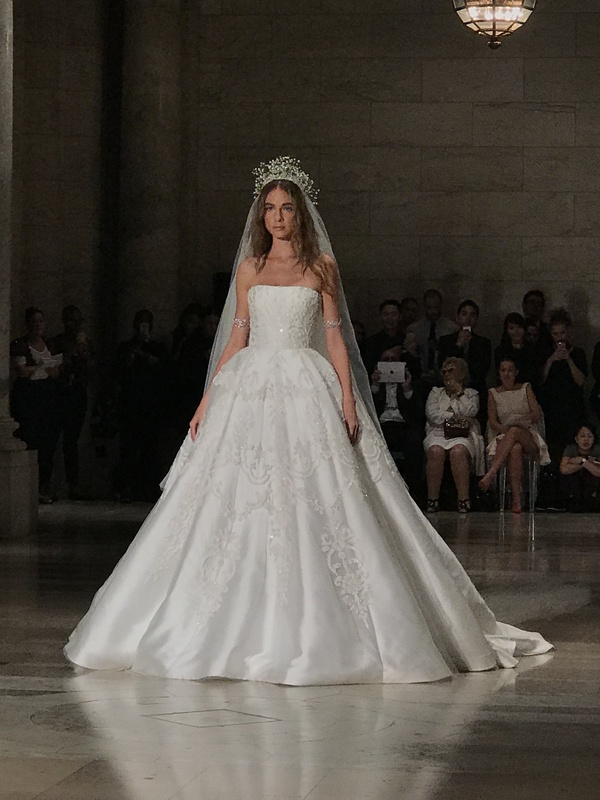 Flower Crowns and beaded ensembles set the runway stage at The New York Public Library on October 5th, 2017. 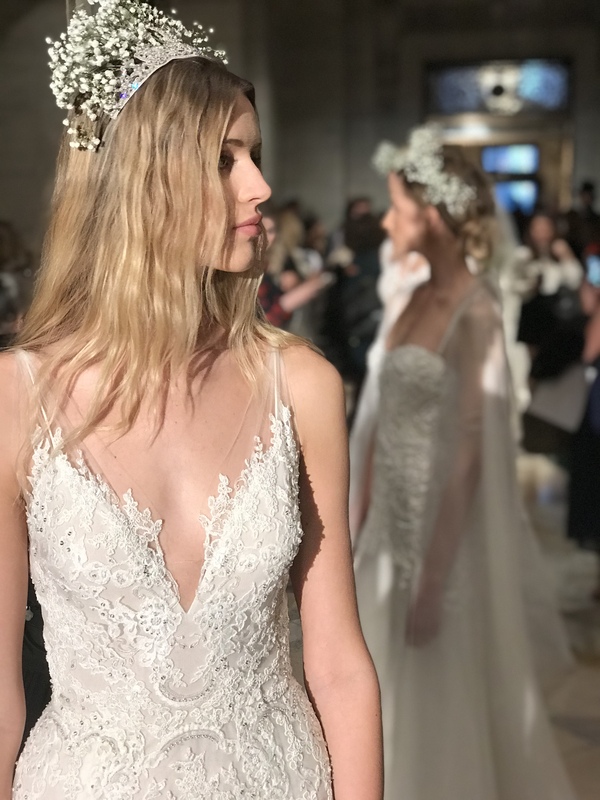 Models glided down the runway to Arabic inspired music, but walked the show almost doing a four-point runway walk between column statues. 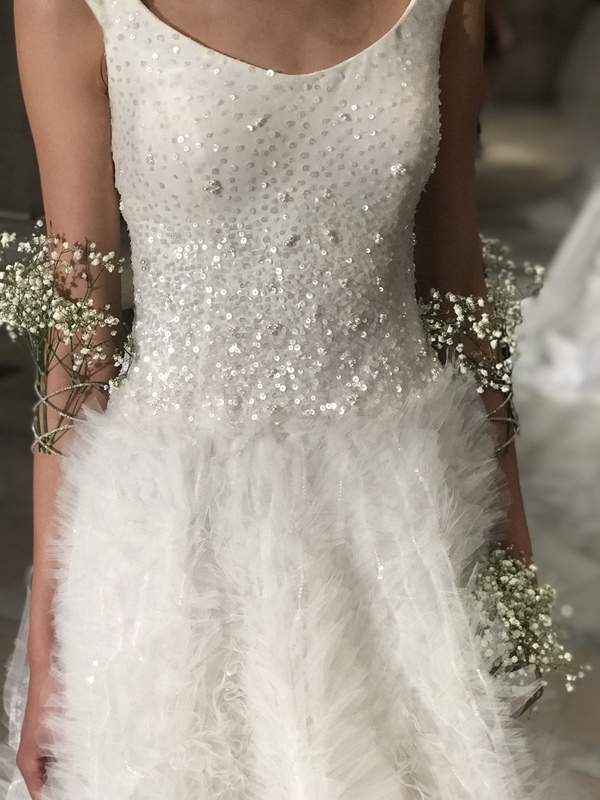 Silver eye makeup glistened and flowers were worn like boas around the arms, neck, and shoulders intertwined between silver arm bangles.